A key defining factor of life today is that we’re all connected in ways our forefathers were not. The Truman show film released in 1998, depicted the world in an unfamiliar, fantastic way, which is what made the subject matter so intriguing. However, are we really that far away from that fantasy world today? We may not be being watched in our own homes 24/7 but we are just a click, a text, a tweet or a Skype call away from anyone we choose to connect with, anywhere in the world, at any time. Technology, coupled with a social media explosion has meant that real time information is no longer a figment of our over active imaginations, it’s here and constantly developing. Everyday, live data is served up in many guises via digital applications covering diet and fitness through to bus timetables. Many businesses are recognising the endless benefits of capturing this kind of data. Online news sites can post two headlines for the same feature, monitor the interest generated and within minutes discard the less popular, optimising their online hits. They stay one step ahead in an increasingly competitive environment by not only communicating to readers in real time but by enhancing the product (editors receive immediate data and respond accordingly). Dental practices accessing live data can reap similar benefits in terms of workflow and profitability. In 2009, the British Dental Association ran a survey to calculate the amount of hours lost for practices by Failures to Attend (FTA). It recorded an average of 81 hours per dentist over the year, with an astounding rise to an average of 111 hours where those practices had no reminder system in place[i]. This is equivalent to three weeks of back-to-back treatments so can any practice afford to ignore appointment management? There is now software available offering the continual stream of information and communication between your practice and patient base. This fully automated system takes care of appointment fixing, credit card processing, and crucially, reminding patients to attend. Covering the four focal points of chair occupancy, treatment planning, appointment confirmation and patient recare, this real-time information helps to monitor and manage appointments efficiently. Staff are then free to instantly respond to situations as they occur, keeping schedules at optimum efficiency. Carestream Dental can provide this real time data via the new fully automated Springboard feature of the CS R4+ practice management software. Because the system immediately undertakes time-consuming administration, Springboard enables a continual, fluid workflow. In return, resources and skills are applied to the areas where they’re required where they’re most needed – attending to patients. Representing the very latest in dental practice management software is the CS R4+ from Carestream Dental featuring Springboard. Operating in real-time, the intuitive software delivers live data on key KPIs so you know exactly how your business is performing at any given time. At a glance you’ll better understand your practice’s chair occupancy, treatment pan uptake rate, appointment confirmations and effectiveness of recare programmes in place. The CS R4+ can be easily and fully integrated with any imaging or patient communication programmes and technologies you employ, so that a smooth and seamless workflow can be enjoyed by all members of the team. Popular solutions from Carestream Dental include the eSignatures module, Appointmentor Online Booking System, Text Messaging Service and AutoPost, each optimising security and convenience for both patients and professionals. The team at Carestream Dental are also committed to the business corporate programme, eXceed, so you can trust in the high standard of service and support you will receive with any and all new innovations. 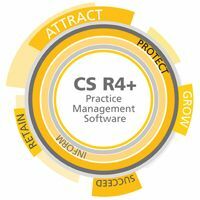 Discover the CS R4+ practice management software and all its benefits for yourself today. 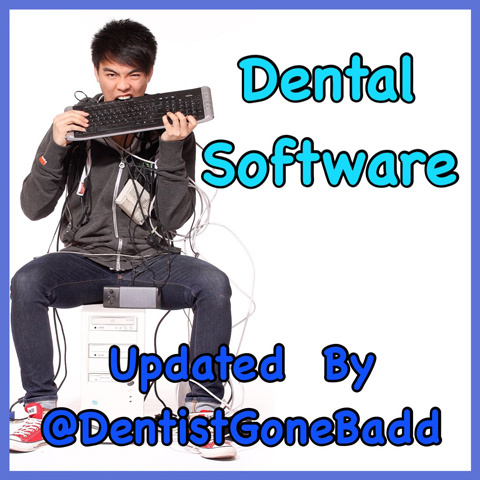 The digital workflow is growing ever more powerful in the dental profession. In fact, we found that 95% of dentists who employ digital technologies enjoy a smoother workflow, 88% suggest any staff training expenses are perfectly acceptable, and more than 50% experience an increase in earnings. Perhaps most importantly, the majority of users also agree that the patient experience is enhanced. At Carestream Dental, we understand the pressures on modern professionals and have invested heavily in research and product development to create effective solutions to the challenges you face every day. All our technologies are available on their own but work together seamlessly for a flexible and totally integrated workflow. From the very beginning, our new CS Digitalizer enables you to quickly and easily evaluate your practice to establish your individual needs and discover the most suitable innovations for you. The Needs Assessment Survey will enable you to enter basic information about your practice and future goals, and then produce a full report with suggestions of relevant areas to consider in order to optimise and grow your business. Available on the website www.carestreamdental.com/digitalizer or from the App Store, this quick and convenient tool will show you exactly how your practice stands, offering the opportunity to see how others compare in your area. Whether you are looking to increase your digital capabilities, or take your first steps towards a digital workflow, we provide a range of solutions backed up by expert advice and support. From the handheld CS 3500 intraoral scanner to the CS 7200 imaging plate system, our user-friendly technologies deliver outstanding image clarity for accurate diagnostics, with the flexibility to work in the way you prefer. The innovative CS 8100 3D imaging system even harnesses the power of 3D and brings it within every general practice’s reach, all the while limiting radiation dosage for a safer examination process for both patient and professional. Offering further benefits to you and your team the CS R4+ practice management software, featuring Springboard, operates in real-time data, giving you an up-to-the-minute analysis of your practice performance whenever required. Focusing on chair occupancy, treatment plan uptake, appointment confirmation and recare protocols, the programme highlights strengths and weaknesses in an instant so you can manage your business as efficiently as possible. When utilised effectively, the digital workflow offers copious advantages for the modern dental practice. Every day systems are simplified and streamlined, with enhanced diagnostics, treatment planning and patient communications contributing to an overall superior patient service. 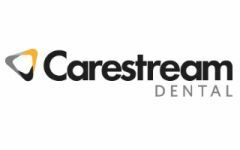 At Carestream Dental, we will continue our commitment to you through our leading innovations and first-rate customer service, and we are always on hand should you need more information, advice or technical support. A move towards digital is often much easier and less costly than you would think – and the rewards can be mind-blowing. Do you know how well your practice is performing right now? Do you need an easy but accurate way to measure your business performance? The CS R4+ practice management software featuring Springboard has been designed specifically for this purpose. Provided by Carestream Dental, the innovative software utilises real-time data to deliver an up-to-the-minute representation of your business, whenever you need it. Four key areas – chair occupancy, appointment confirmations, treatment plan acceptance and patient recare – are carefully monitored and the live data can be accessed at any time to establish exactly how the practice is doing. Immediately highlighting any problem-areas, the cutting-edge technology will help you implement changes when necessary and steer your business towards long-term success. You can also enjoy outstanding on-going support from Carestream Dental – committed to eXceed, the team strive to deliver exceptional customer service every time. To find out more about the exciting CS R4+ practice management software and Springboard, contact the experts at Carestream Dental today. With over 100 years’ of experience, Wrights is dedicated to providing top quality dental supplies, services and equipment to practices across the UK. Exhibiting again at this year’s BDIA Showcase, Wrights is delighted to be launching an orthodontic range from one of the leading providers of clinical solutions, G&H Orthodontics. Wrights is also pleased to reveal a new partnership with Dentally, provider of ingenious practice management software designed to simplify and enhance communications and daily workflows. Whatever you need, you are sure to find it among our 30,000+ products, ranging from cutting-edge surgical equipment to handpieces and innovative infection control solutions. What’s more, they are all offered with a free next day delivery service for maximum convenience. Providing a 24-hour accessible service, products can be browsed via E-Catalogue and purchased online through My Wright Place, where web only offers are always available. If you need an excellent, customer-centred and reliable service, the experienced team at Wrights comprises of various professionals including sales consultants, service engineers and service technicians, all here for you. To find out more about how Wrights can help you with all your supply needs, visit us on stands M120 and M145 at the BDIA Dental Showcase 2015. “As our clinic is based in the City of London and most of the patients are occupied in a busy office environment, we felt that the Zesty online booking service would be a unique and extremely convenient service for busy city professionals. “From positive feedback our patients have provided we have learnt that the huge advantage of Zesty is the ability to book an appointment online, without making any phone calls. Patients find the system user-friendly and searching for a suitable dentist based in a convenient location is easy. “We have been using Zesty for a year now; we gained our first booking in March 2014. It has been an exciting journey because as well as providing the modern facility of online booking to enhance our services, we have also enjoyed a surge of new patients particularly since Zesty began advertising the system at underground stations. Real-time data can have a huge impact on the efficacy of your practice management systems. Giving you an accurate analysis of how your practice is performing at any given time, it is the perfect tool to facility change and drive your business growth. The latest CS R4+ practice management software from Carestream Dental now features the exciting Springboard as standard, which enables you to do just this. It has been designed to focus on key areas within your practice that demonstrate your performance with regards to chair occupancy, treatment plan uptake, appointment confirmations and efficiency of recare processes, highlighting the need for improvement wherever appropriate. All data is displayed in easy-to-read visuals, enabling any member of the team to access the results and implement changes straight away. The practice management software also integrates seamlessly with additional programmes to further streamline your daily processes and free up precious time for staff. These include the innovative Appointmentor Online Booking System, eSignatures module, AutoPost and Text Messaging Service. So, to make the most of real-time data and really drive your practice growth, discover the CS R4+ practice management software with Springboard from Carestream Dental. Converting treatment plans into booked appointments is an area where many dental professionals struggle. This can often be to do with the concept of selling to a patient but there are a few ways to help with that. If you don&apos;t feel comfortable discussing finances and costs with patients, you may be able to utilise the role of the treatment coordinator within your practice. If you have someone who is exceptionally good at talking to patients in a calm and friendly manner, you can provide the clinical information about the proposed treatment while they work alongside you to answer patient queries. They can discuss fees, explain the extra benefits like enhanced quality of life, and help to convert the treatment plan into a booked appointment. In many cases, the patient will want to go home with their treatment plan and discuss it with a spouse or other family member and/or friends. In this respect, you need to ensure that the information you have provided is full and clear, perhaps with advice for extra research from reliable online sources if they feel it is required. If a patient leaves the practice without booking their treatment, follow-ups are key. It is important not to see this as &apos;hassling&apos;, and more of a gentle prompt instead. This could be a great job for a friendly member of the team to take on board, spending one morning each week contacting patients who haven&apos;t taken up their treatment plans, just to touch base and see if they have any questions that need answering to help them to make a decision. For this to be effective, it is essential that you and your team are aware of what treatment plans are still outstanding. In a dental environment it can be difficult to keep on top of open treatment plans when you have patients arriving, phone calls to attend to, and everything else that comes with the day-to-day running of the practice. In this respect, some practice management systems have built-in functionality that can help you and your staff see the plans that need following up. The CS R4+ practice management software from Carestream Dental can help you do all of this and more with its built-in features that use real time data to benefit your practice in numerous ways. This will allow you and your team to get a list of the patients without appointments, enabling you to contact them and discuss further questions they may have and try to book them in. Turning treatment plans into booked appointments is not a concept that all dental professionals find easy or natural, but employing these tools and techniques can help boost your conversion rates and, importantly, your profits. With more and more patients having access to smartphones and emails, it makes sense to extend your paperless system directly to your patient&apos;s mobile device. Patient Links gives your practice it&apos;s very own patient portal, allowing your patients to fill out medical history forms and patient questionnaires on their mobile phones, tablets or desktop computers. Forms are automatically emailed to patients, allowing them to securely fill them out online prior or post appointment. Not only does this give your patients a more connected experience, it also means less hassle getting forms filled at reception. Once the online forms are back in your practice management system they can be verified and signed by the patient using a digital signature pad. 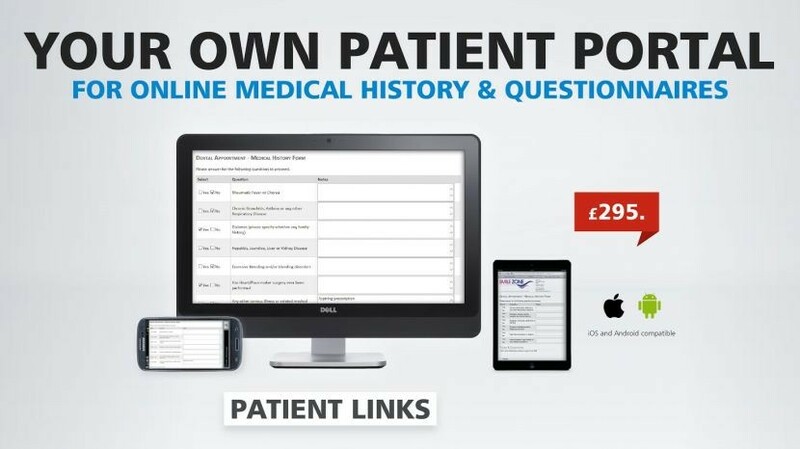 Patient Links further allows you to use your own choice of tablet (iOS orAndroid) for form filling at the practice, in case there are patients that don&apos;t have access to a mobile device. iSmile&apos;s powerful reporting system allows you to display data from patient feedback forms in a range of formats so you can analyse trends across different time periods to see how your business&apos;s customer service is improving.